Hi everyone! I hope you are all having a great weekend so far! Since classes started back up, I feel like I have been crazy busy. I did get a little stamping time in yesterday though for the new card challenge over on Catherine & Cathy Create. The challenge this month is "Fun with Masks!" I love the decorative masks in the Annual Catalog, so I instantly reached for them! 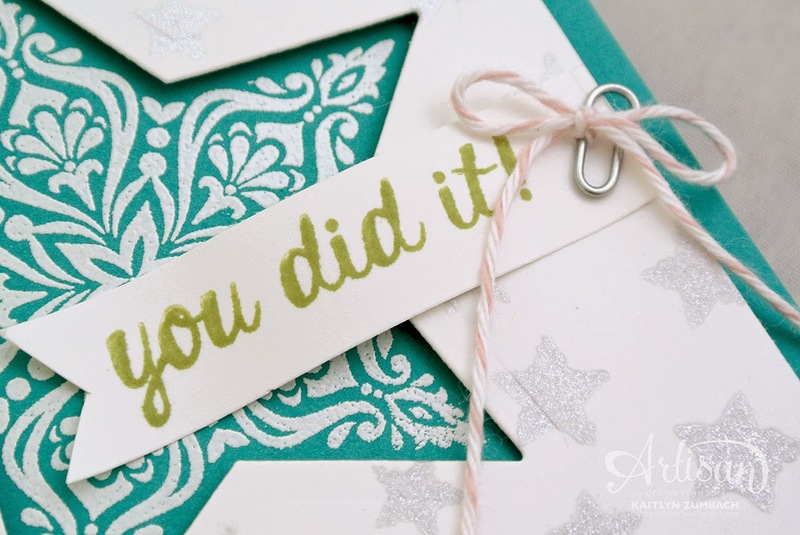 I thought it would be fun to pair the stars mask with the Bright & Beautiful stamp set to make a non-Christmas card. 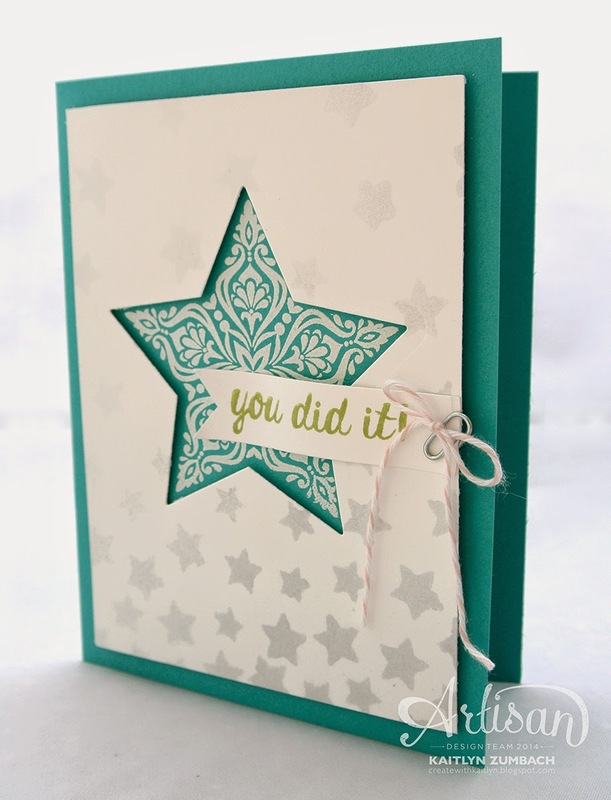 I embossed the smaller star image with White Stampin' Emboss Powder right on the Bermuda Bay card base. Then I used the Star Framelit Dies to cut out the star of the layer on top. This creates a fun look of reverse layering. Something different from always layering things on top of each other! Do you see how the Smoky Slate stars are sparkly??? This is one of my favorite tricks! Instead of just adding Smoky Slate Ink to rubbing alcohol to spritz, I added re-inker to some Vanilla Smooch Spritz. That's right! You can color the Vanilla Shimmer Smooch Spritz to make any color of sparkly spritz! Just one tip-when using the Decorative Masks, a light hand is better. If you spritz too much, your image becomes blurry. Now it is you turn to play with masks and join the fun at Catherine & Cathy Create! Just gorgeous Kaitlyn !! Love that Smooch Spritz tip! !